I started in the construction trades over 30 years ago and about the second year my energy started to fade. I would work for an hour or two and then become tired and irritable. When I came home one day my wife was reading a health book and in it was a description of my health problems, lack of energy, low blood sugar feeling tired after one hour. I started to replace twinkies with a banana and soft drinks with apple juice. I started feeling a little better, then I bought a juicer and juiced 25 pound bag of carrots, three stalks of celery and about 10 apples per week. All of the sudden my energy started coming back. Then someone introduced me to Shaklee Vitamin Supplements. I started taking Vita-Lea and Energizing Soy Protein and Herb-Lax. 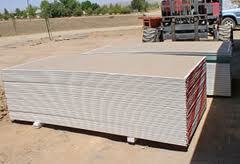 I was able to go from hanging 30 to 50 sheets of drywall per day in one month. In case you don’t know what drywall is, it’s what’s in your house what the walls are made of and drywall sheet 4 by 12 foot sheets are not light. Increasing my production by 20 sheets per day was unbelievable to me. After a couple of months on the Shaklee products I even hung 70 sheets on a couple of jobs. And thirty years later I still was able to hang 50 sheets per day. I never lost my energy again. If you are looking for better health, more energy, longer life, I highly recommend Shaklee products. Dr. Shaklee took 40 years to develop his products starting in 1912 and in 1956 the Shaklee corporation was born. Dr Shaklee took great pains in processing his products he never used heat or chemicals like most companies so his products contain live enzymes the life force in plants. He does test on his products (over 80,000 per year) to ensure purity, potency and clinical testing to prove the products work. And when you take the products you get all the benefits the plants have to offer.